Thanks for a great post about this author whose life was cut short far too soon. I wonder whether "Avalon Brantley" ever died or lived except as a Pessoan heteronym. I'd certainly be interested to see a complete works and to learn of any re-incarnations. Des Lewis has wonderful reviews of Brantley's works on his site, including photos of the actual books. This one is of "Dream of Ourselves:"
to Brantley's family if she was a real person who actually passed away. I also hope I'm wrong about this but I briefly checked over the CD and book collection downloads from the link. That's a listing of 7000 books and CDs with prices/notes (nothing rare but common books priced at the top of the internet "optimist" range). Maybe Dad typed all of this up or maybe Avalon already had her collection typed up. I wish I was so organized. If this is a hoax it's pretty damn cynical to attempt to offload a load of common books and cds on the back of it. I really feel if Avalon was a real person the family ought to clear the air and give some details, if only to protect her reputation. "Not by chance, one of Avalon’s last testimonies makes it very clear that she, like Blanqui and Nietzsche (or Borges), believed in the infinite plurality of worlds, of existences, of lives. In one of these plural worlds she continues to build her work, sung by aoidosand other vagabonds or poets like the songs of a close brother, Homer." Hmmm. Take that as you will. Really, I do wish that Brantley was someone's Fiona MacLeod. Hmmm indeed! One might note that Jeremy Reed's forthcoming autobiography is called Vagabond Poet,from Zagava incidentally. Mystery solved? Bandit-Poet (which sounds like a term Zhdanov would have used to justify putting a poet in the Gulag) according to the Zagava website. Jonas has just informed me my contribution to his book Filmlore will not be used because I dared to speculate whether Brantley was real.Luckily some of you are anonymous here or you will never see your work in a Zagava book! Seems an extreme reaction but no worry - every time I try to publish the piece (on the censor file on Masque of the Red Death movie) the publisher goes bust, someone loses their job or some other disaster occurs.Anyone care to risk it? I said only yesterday to a friend that something would go wrong. Oops, sorry re title of Reed book, was misinformed. Reply to Jonas of Zagava: When someone puts out what seems to be an obviously fake persona, why do you expect people not to react cynically? Wow, that's harsh, to have your contribution rejected because you express your opinion. I won't purchase any further Zagava titles. I did think it was a bizarre overreaction as the two things are unrelated, and I actually said given the debate it would be a good idea to release a statement to protect her reputation. I would have thought that was a helpful thing to say. Anyway, thanks for your support but I don't want to be the cause of some backlash against Jonas however much I disagree with him. In any case, within hours of him refusing to use the piece an American publisher of lovely editions of weird fiction enthusiastically agreed to look at it. Cheers! I hope that you will reconsider your decision, sir. Neither Mr. Anderson's comment nor the related reader comments bellow his article came off as being in the slightest way mean spirited. I think that this sort of speculation is only natural given the circumstances. Also, take in account what blog we're at: Wormwoodiana contributors could probably think of some past author pulling out something comparable to what some people apparently think has happened here, right on top of their head. Did anyone ever find out any other info about this? Not that I've heard. 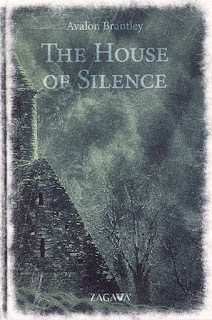 I see in Wormwood that one of my favourite writers, Reggie Oliver, rates The House of Silence as close to a work of genius. I just noticed that in a book Death By Unicorn by Brian Gambale there's a character named Brantley who talks about the mystical Avalon. Also noted that the Brantley sale states the CD collection is unplayed discs as Avalon never played them. The reason given is that she made her own copies and played those. I make no comment on any of this as I'll only be portrayed as a horrid fellow again, but as people still seem to be fascinated by the Brantley phenomenon I thought I'd post this here. At least it keeps her name in circulation. Anyone got any other information? It does seem like theres oddities, but I wonder if its case of finding clues that have confirmation bias? Who knows - it certainly seems like a real person to me, with the blog dates and family stuff. Good point. I think the likely explanation is the AV name is a pseudonym. I do think the publisher handled her passing badly by giving virtually no information and then having a hissy fit when people quite naturally began to ask questions in public.Sad. No question of that. Toys = out of pram. A simple statement would have done it. Entire inventory's disappeared. Maybe seller's on vacation. I've never understood the quirk the lady is said to have had about doing bootleg copies of her CDs and only playing the copies, which is the explanation for the sale items being unplanned new items. The female heteronym appeared in this year's Drowning in Beauty: The Neo-Decadent Anthology. Alongside some familiar co-contributors to 2014's Dreams of Ourselves: An Appreciation of Pessoa. I don't enjoy examining this. But if this is a hoax, it doesn't sit well with me that someone would be selling their expensive book/music collection under the FALSE PRETENSE of it being an estate sale whose proceeds go towards the grieving family of a young woman who tragically committed suicide. I have great empathy for those who struggle with suicidal depression *and* for those who've lost friends & loved ones to suicide. As I have. The issue hits close to home. I've also witnessed suicide notices long ago on ancient messageboards that were later revealed to have been hoaxes. It's an act that doesn't sit well with me. I take no pleasure from this speculation. But in past hoaxes the "horrid fellows" ended up being correct in the long run. And those who gave the surface story the benefit of the doubt ended up experiencing the stinging sensation of finding themselves duped and their sympathies exploited. Speaking as someone who is himself a reclusive & private person, this situation if nothing else demonstrates a need for publishers to validate the identities of the authors they publish. It's possible to be reclusive and still provide proof of identity. It's also possible that heteronyms can serve the same function as sock puppets or trolls. Unplanned = unplayed. Darn autospell. Can't get link to work for some reason.